Find information about our program, workshops, artist residencies, Open Studio and so much more. Feel free to use the links at the top of each page to navigate through the various areas of our site. A pARTner school with the Perpich Center for Arts Education THE MISSION OF THE ARTS MAGNET PROGRAM IS TO PROVIDE AN OPPORTUNITY FOR STUDENTS, TEACHERS AND PARENTS TO EXPLORE AND DISCOVER THE ARTS, CONNECTING THEM WITH THEIR LIVES. Established in 1979 as a non-profit arts organization, the Central Minnesota Arts Board increases access to the arts by providing grant opportunities and services throughout Benton, Sherburne, Stearns, and Wright counties as one of eleven Regional Arts Councils in Minnesota. 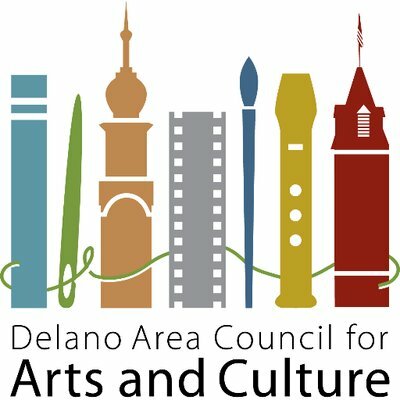 We fund grant proposals and provide professional development services to arts and community organizations, schools, government units and individuals. We also strive to enhance the appreciation of the positive and essential economic and social roles the arts play in our lives. The ISD 728 Regional Center There are four Regional Centers in the state of Minnesota supported by the Perpich Center to serve as a resource in arts education. The ISD 728 Regional Center is currently collaborating with the Paramount Educational Outreach Center and the Central Minnesota Arts Board to offer professional development opportunities to educators in Central Minnesota. This collaboration allows us to offer a wider selection of workshops and to reach even more educators in our region. School Districts in our Region While the ISD 728 Regional Center offers professional develop opportunities for educators all throughout Central Minnesota, our focus is on the districts within our region: Becker Big Lake Elk River Area Schools Foley Howard Lake-Waverly-Winsted Monticello Princeton Sartell-St. Stephen St. Cloud St. Michael-Albertville Sauk Rapids-Rice Consulting To learn more about professional development opportunities, grants and teaching artist residencies that can be tailored to your specific needs, contact Rana Nestrud to set up an individual consultation. The Women’s Art Resources of Minnesota (WARM) is located in the Minneapolis/St.Paul area in Minnesota. We are a women’s art organization that serves Midwest women artists through a variety of programming.